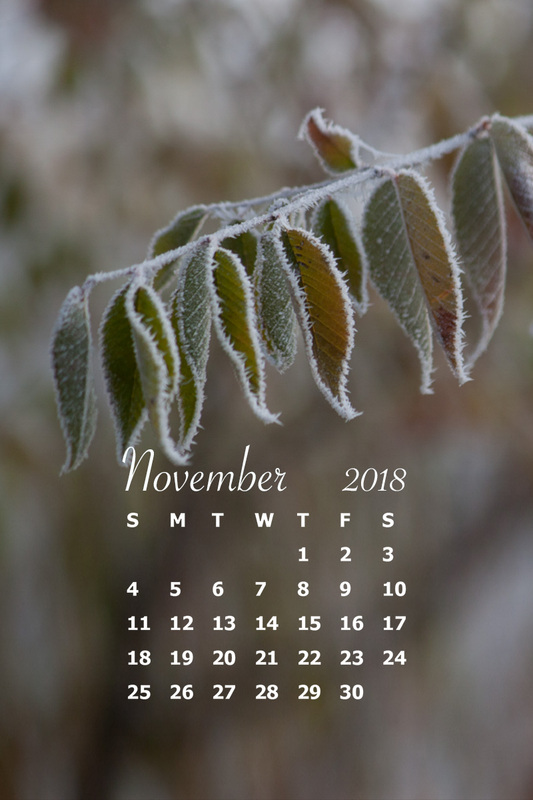 I couldn’t resist using some more coloured leaves for the desktop calendar. I love how the red and green remind us that Christmas isn’t very far off. Have you started holiday shopping? Last month, I posted some instructions for putting the image on your lock screen in case you need it. For different desktop ratios, go here. 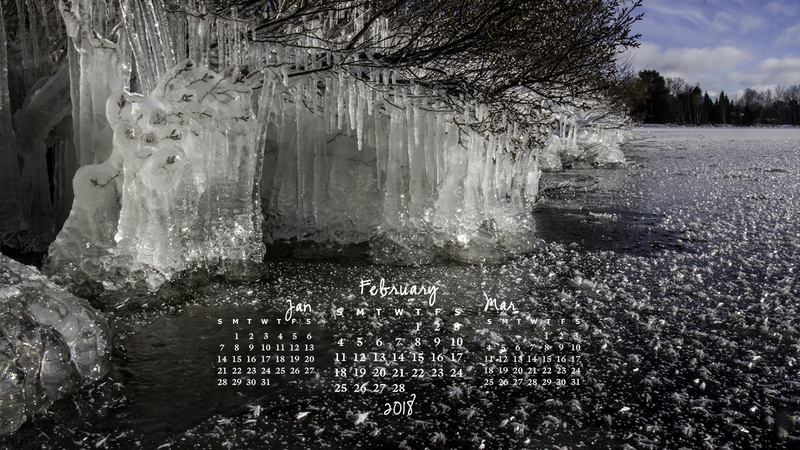 The other day I braved the bitter cold air and water to stand in the creek for a close up of the hoar frost on the bent branches of bushes along the water’s edge. 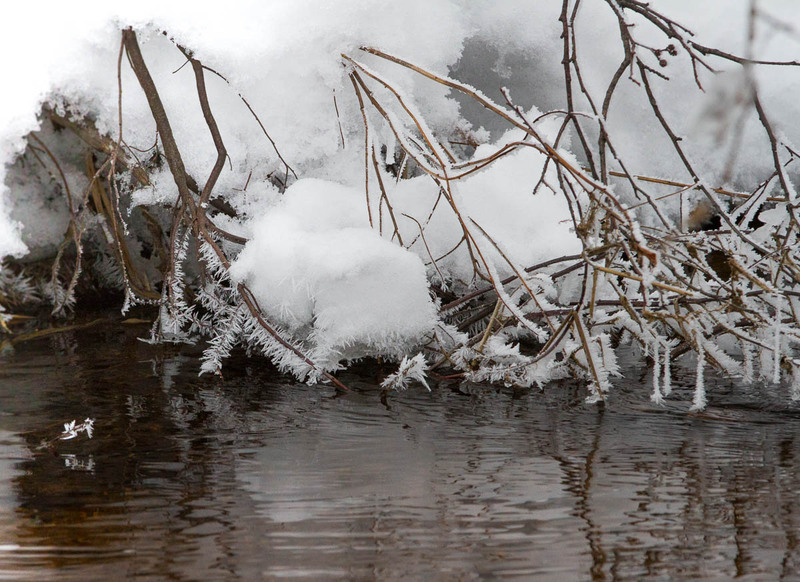 It reminded me of the last time I waded into cold winter waters for some icy shots. I shared a number of those shots in this post which explains the frozen lake surface in the image below. 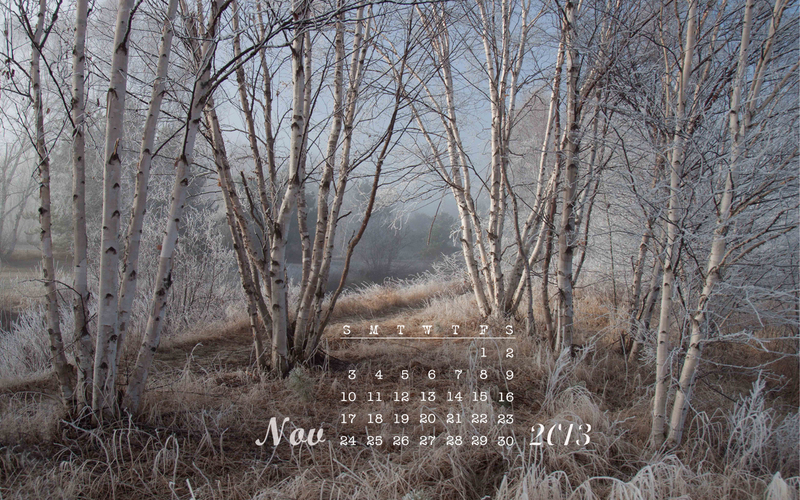 It’s from the 2015 shoot I selected the image for our calendar this month. Happy 2018! 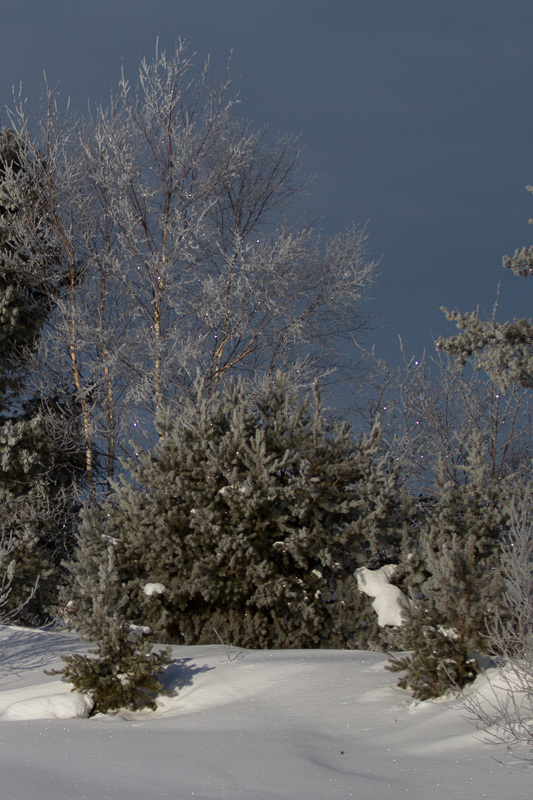 We experienced one of the coldest Christmases in several decades. I trust your holiday time was warmed by being surrounded with those you hold most dear as we were. May you have courage to face the challenges ahead in 2018 and a heart open to appreciate your blessings. 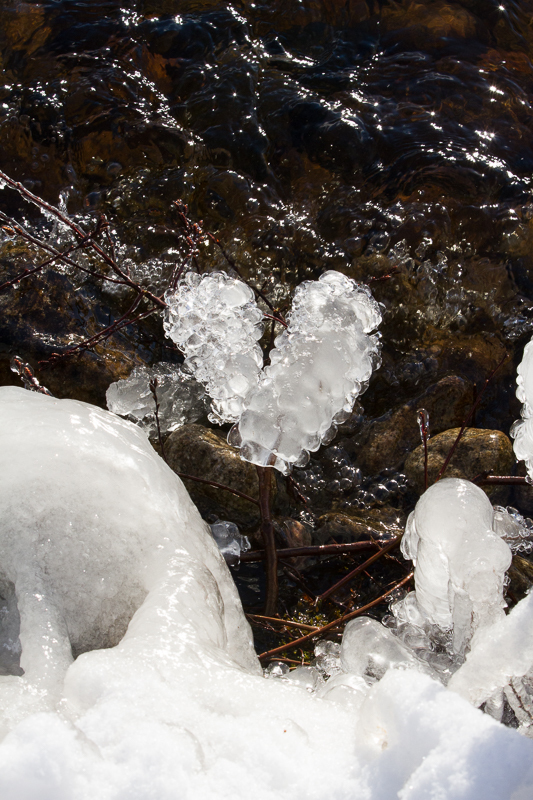 This fall just as the lake was beginning to freeze over, a couple of branches collected frozen bubbles and formed a heart! 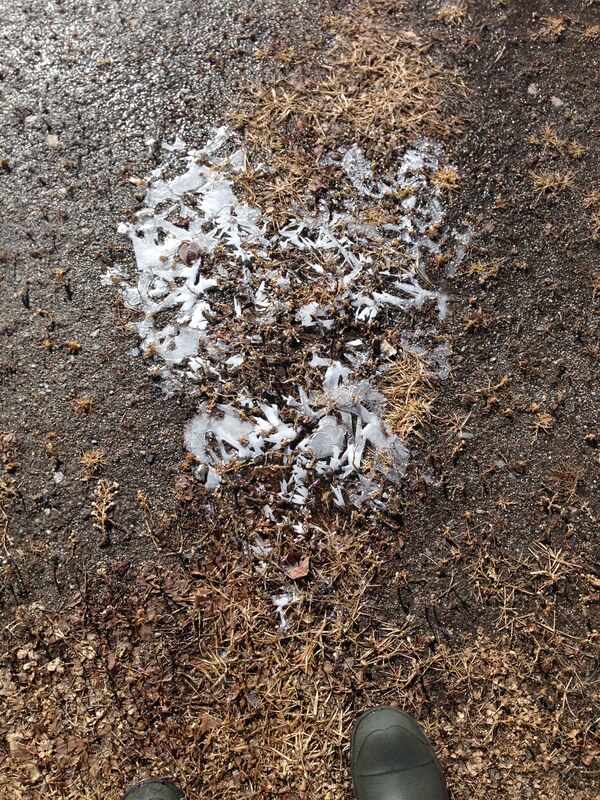 Last spring, I almost stepped on to this frosty heart just outside the door to our garage. 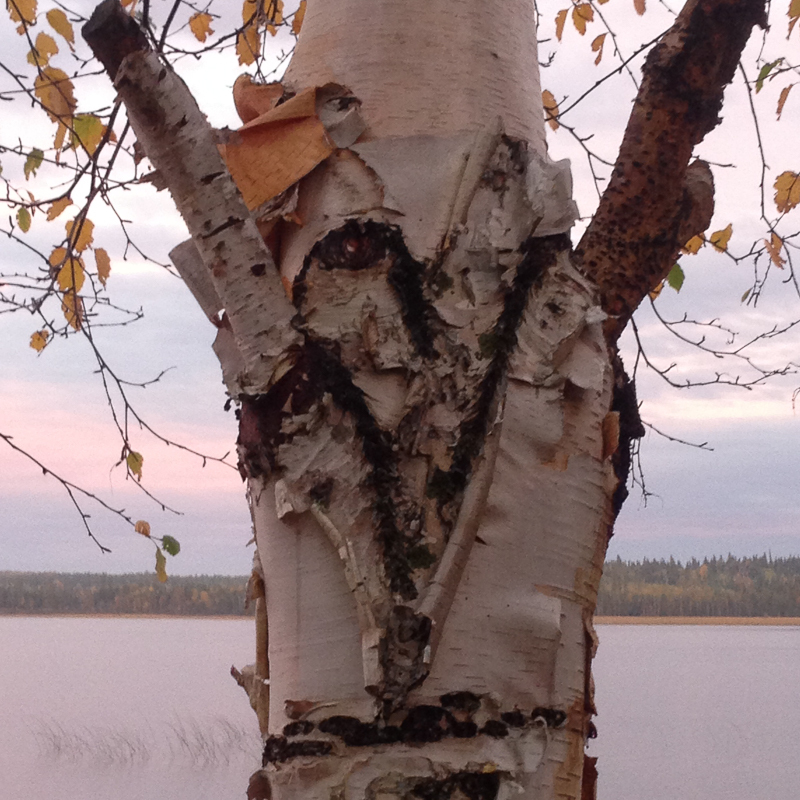 And I noticed this heart in a birch tree late last summer. To me these are little messages of love from my Heavenly Father. Sigh. The last few months of my digital life journey have been full of speed bumps and detours. Equipment failure and replacement has had me scrambling to maintain a grasp of where all the bits and bytes of my digital data exist while hard drives and backups seem to play a cruel shell game. Meanwhile, from every side, messages about having a gratitude attitude bombard me. Reminders have been popping up from some unlikely sources and have helped me gain perspective. Of course, my digital stuff is just that – stuff. Life and love, family and friends are all far more important. And I am truly blessed! So, while my digital files play hide and seek on the assortment of drives in my possession, I offer a desktop image from the past. I think it’s one worth repeating. Thanks for understanding. 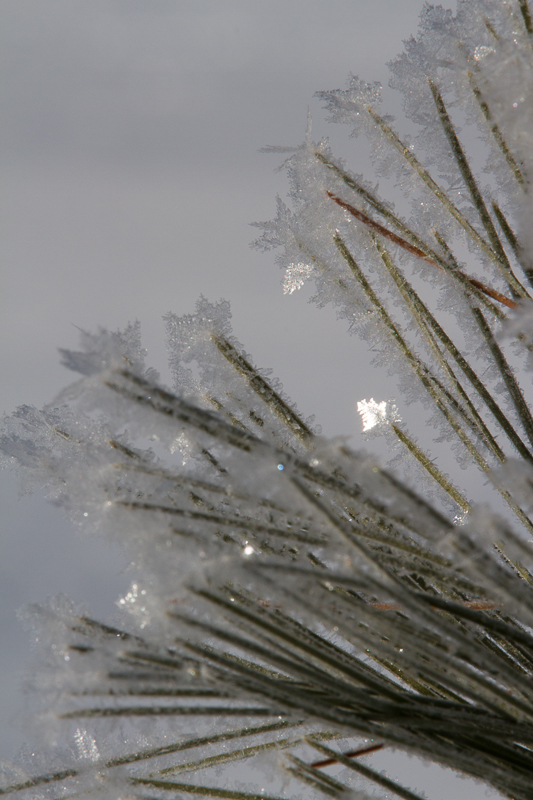 Morning frost clings to tips of red pine needles. The last couple of mornings have been magical! 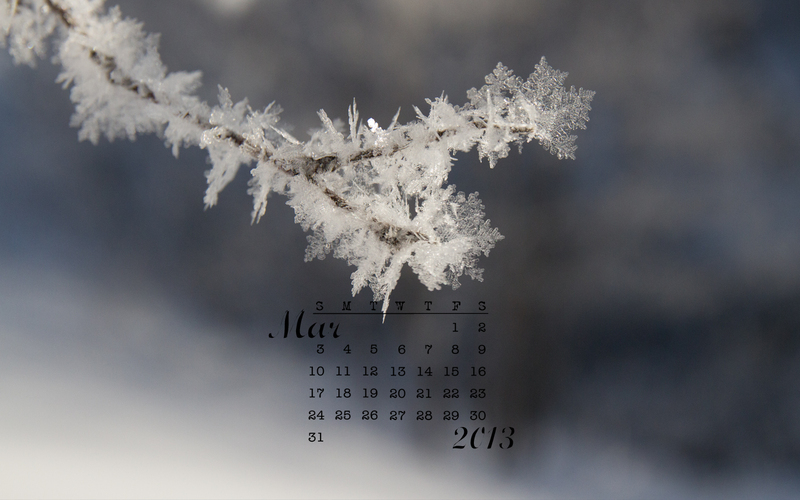 Heavy frost clung to everything. 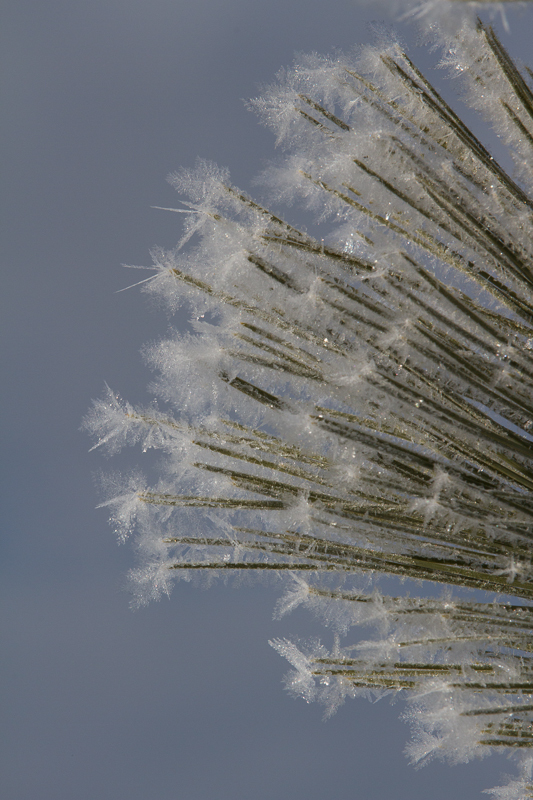 Brilliant sunshine danced off the lacy crystals creating a spectacular light show. Photos simply can not replicate the brilliance and intensity of such conditions. In the image below, the tiny pink dots are crystals reflecting the sunlight. I’m delighted to share with you a little bit of detail. 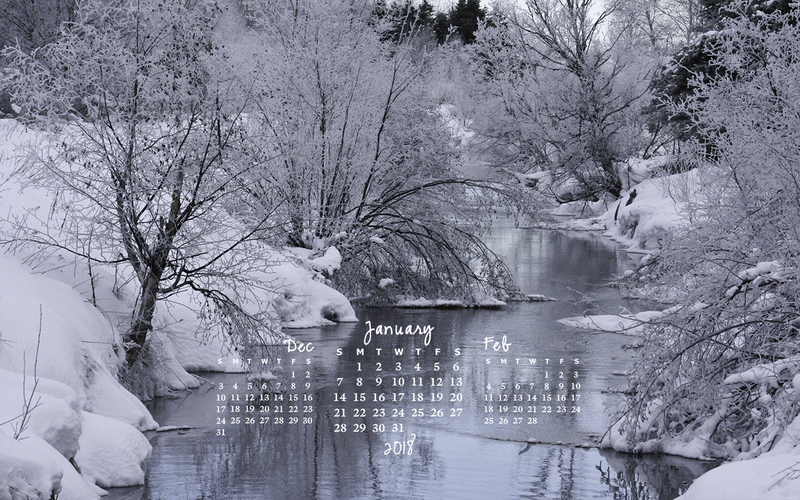 If you would like to download the image for your desktop, you can find specific screen resolutions here.